With the chilly forecast this morning, it’s time to think about the best way to escape the frigid temperatures. This season, I am more than ready to plan the perfect trip for my entire family to sunny Orlando, Florida. I know from personal experiences this is the time of year when we need it most. Last year, I waited until summer for our first-ever family vacation to Orlando, but I realize now that sooner would have been better. 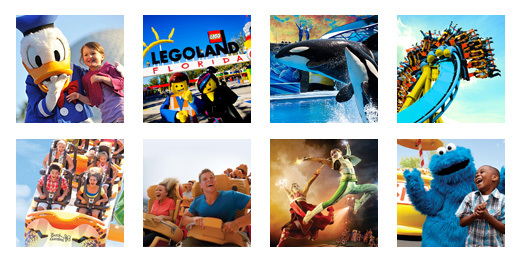 We always save when we use TicketsatWork.com; but if you plan a spring trip, there are even better deals to be had, and spring in Orlando is cool and fresh with just the right amount of heat. Mind you, last summer, we all had a blast. The best part of the trip for my family was Universal Studios, which seems to have a wide range of rides and adventures that appeal to everyone’s tastes. But we also enjoyed Walt Disney World; I made sure we all had Park Hopper passes and FastPass+ reservations for all of our preferred rides. It takes some planning, but it’s worth it. Spring is on the horizon…. Let’s all try to picture it in our mind’s eye. Blue skies are everywhere. More sunshine than we have seen in months. The sight of fresh dew on the budding earth. The flowers just beginning to show their brilliant colors. If I close my eyes, I can even begin to smell the fresh scent of spring mixed with cool, quiet breezes. Everything is in bloom, and nothing is covered in ice….Imagine it…. Clearly, I’m as ready as you are for the next season to begin. And I’m also ready for all of the journeys ahead of us. This spring, let’s celebrate by not only cleaning out our closets, but let’s check mark an adventure from the bucket list as well. And nothing sounds better to clear off my to-do list, than visiting the Mayan ruins in the Yucatan. This calls for a trip to Cancun, Mexico! As the frosty air penetrates through my windows during wee early morning hours and I snuggle tightly within the safe haven of my comforter, I wonder what will motivate me to get out of bed. Oftentimes, I dream about ways to escape my mundane winter schedule in order to relax and unwind. I might consider taking a short, weekend ski trip to the snow-covered slopes of Vermont, a romantic weekend hotel getaway for two, or even an entertaining New York City stay with an outing to a popular Broadway show I have yet to see. Other times, I imagine a longer, warmer jaunt with the family to one of the Disney Park destinations or even to sunny SeaWorld in Orlando, Florida. There’s no denying it; it’s ski season. All of this piled up snow makes me think about heading to the slopes for a long weekend…or even for a week. If I can find the time to get away, I might even stay longer. All I have to do is select the state I want to go to and the type of skiing I like best. I could choose to go anywhere, from Connecticut to California, from New York to Nevada. Whether it’s the powdery, sleek slopes of Aspen, or the blustery mountains of Okemo Mountain Resort in Vermont, the feeling of the fresh packed snow under my feet and the sight of those beautiful winter landscapes around me are sure to make me invigorated and refreshed. Sometimes I think back to a winter many years ago, skiing as far north in Vermont as the Canadian border. We cross-country skied the gorgeous trails all day, and then settled in for the evening in the lodge by a roaring fire. I think it might be there where my love for this season first began, right up there in those mountains, surrounded by snow-covered trees. When I look outside, this season brings back those memories and compels me to make some more.